AgileBit’s 1Password 4 is a password management software that works by creating a virtual “vault” where you can save sensitive information such as passwords, credit card and bank account numbers, passport data, and software keys. My favorite interface feature is a built-in browser that allows you to navigate the Web and that lets the app automatically fill in forms for you using your secure data. All your data is protected by strong encryption and can only be unlocked by a single password that you choose when you first set up the app. The app is also adept at generating strong passwords, plus it supports manual sync through iTunes and automatic sync through either Dropbox or iCloud. But one thing that has been removed from this version is the ability to sync locally over Wi-Fi. This iPhone app started life on the Mac, offering easy access to calendars, and quick approaches for creating new appointments. It recently made the leap to the iPhone. At the top of its screen sits an innovation called the DayTicker. It’s a horizontally scrolling list of dates with visual representations of your appointments. 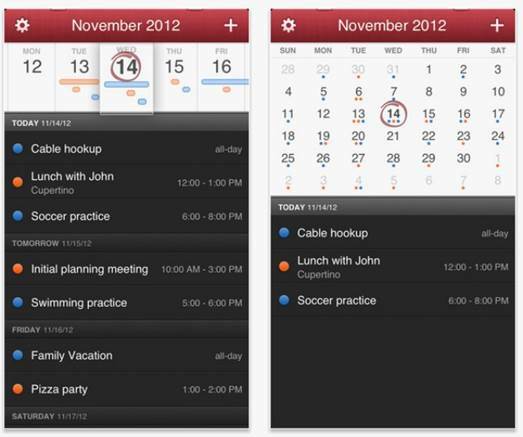 As you navigate the Fantastical calendar, you’ll find it both clever and intuitive. It’s also terrific at taking natural language and turning it into a calendar event. The app faces a few limitations Apple enforces with iOS, such as its inability to invite others to your events. But it also offers an ease of event entry that Apple’s Calendar can’t rival. Versions 3.0 gives Remote a good polish, along with a new iPad interface and new features that tie in nicely with Apple’s latest desktop media manager. It also retains the features you love: You can connect to your iTunes or Apple TV libraries via Home Sharing, control content playback, create and edit playlists, and tap into other shared music libraries. 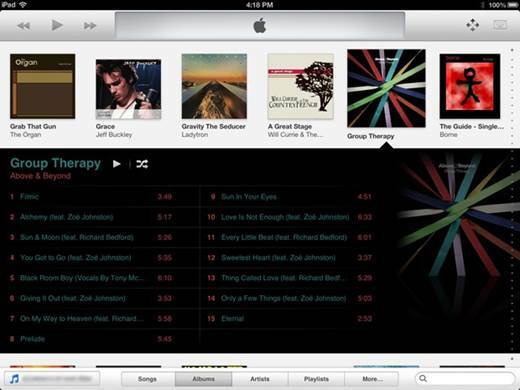 The app adds a few new tricks, including support for Up Next, iTunes 11’s live playlist/jukebox. You can also sort your music in Songs mode by artist instead of by title, and turn on a Stay Connected setting that allows you to keep the link with your library. This app offers users more control over their inboxes with wireless (and offline) printing, inbox filtering, and enhanced attachment options. 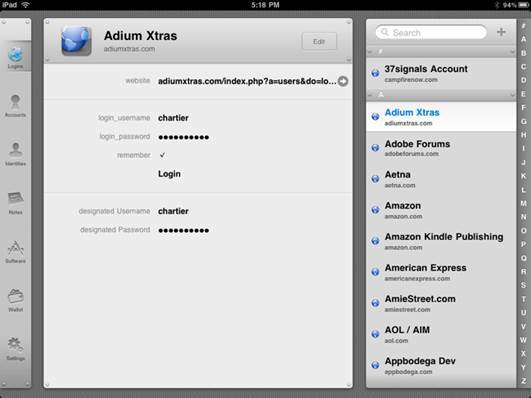 But the email client for the iPhone and iPad lacks options that power users will likely want. As a result, its utility falls somewhere between what causal emailers and true power users demand. The 3.1 version introduces custom push notifications from your email accounts, but it requires a free companion app called WeNotify to be installed and running on your Mac. AltaMail also includes an option to save emails in PDF format. Unfortunately, this is available only as a $2 in-app purchase. AltaMail does not currently offer Dropbox or iCloud sync support, although EuroSmartz says that cloud syncing is coming soon. AltaMail does offer local file sharing through a wireless network, though. It handles writing, editing and reading email well, and supports contact groups and templates. 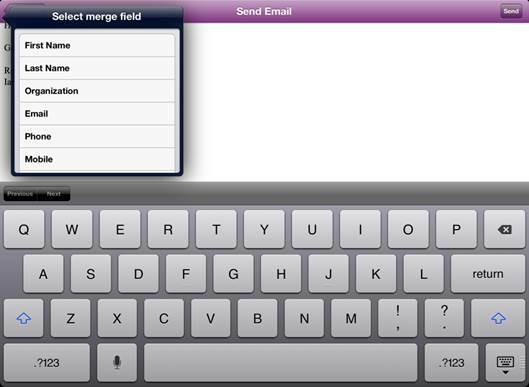 Its peripheral features are lacking at times, but the core email app does its job well. This version of Twitterrific has taken pains to distinguish itself from its predecessor, and the difference is apparent from the get-go. Version 5 features a more seamless design; yes, tweets are still broken up by dividing lines, but they nevertheless seem to flow into each other in a way that most common clients don’t. Content is front and center in the new design, which features large tabs at the top for Tweets, Mentions, Messages, and Favorites on the iPad; on the iPhone, those labels are condensed into icons, and Favorites is shunted into the sidebar. There’s also quick access to lists from the sidebar, and a simple search that enables you to look for tweets or a particular user. The app is fast and responsive, with tweets loading and scrolling quickly. The palette in general is fairly monochromatic. 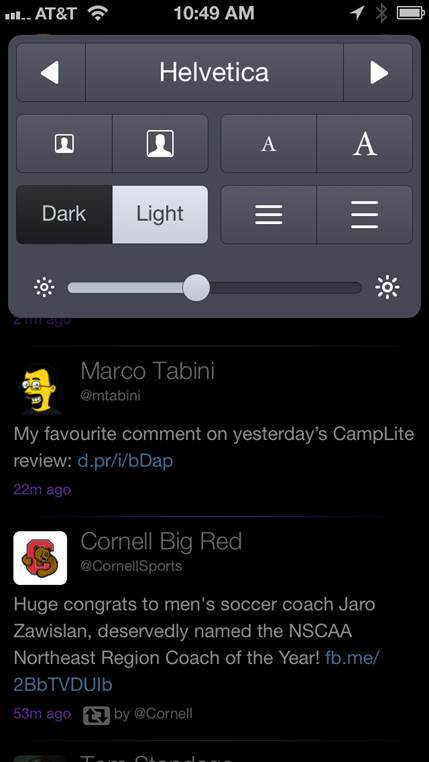 Twitterrific has long been heralded for its customization features, and version 5 offers quite a few of those too. There are many iOS Twitter clients, but The Iconfactory’s willingness to redesign the app every few years is part of the reason the app’s success continues. This version sports an all-new interface that simplifies the process of capturing new notes and improves the visibility of its organizational tools. To create a note, you use one of the three new Quick Notes buttons. All versions of Evernote permit you to type text notes and take photo notes with your device’s camera. Evernote then uploads the notes to its servers, where they are indexed for easy search and retrieval. 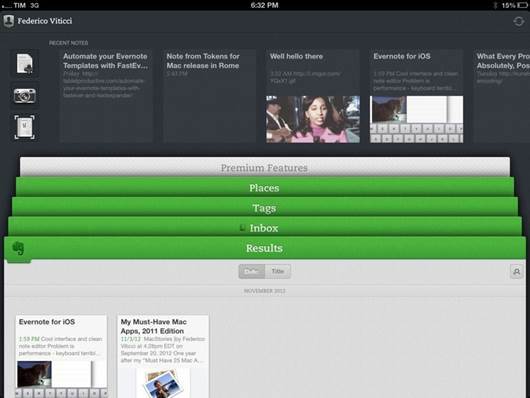 Evernote 5 has also completely refreshed the interface – successfully, for the most part. Notes now appear in four different views: All Notes, Notebooks, Tags, and Places. Tapping a tab header expands the tab to take up most of the screen and to display its contents. Tapping or swiping down on the tab’s header closes it. The new interface does have a few annoyances. If you swipe, rather than tap, to close an expanded tab, you can easily invoke Notification Center. But overall, you’ll find that the new iOS version makes capturing and retrieving your notes faster and smoother.